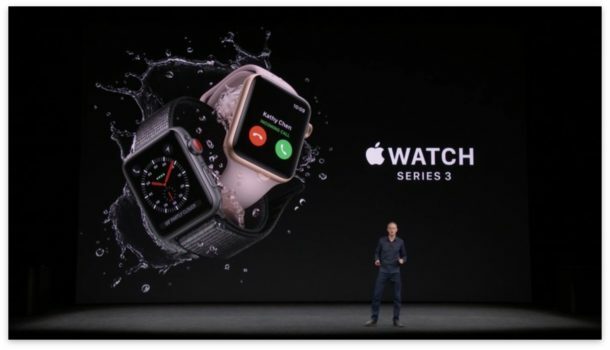 Apple has released Apple Watch Series 3 with optional built-in cellular capabilities, the cellular Apple Watch shares the same phone number as your iPhone. Essentially this allows you to make calls and perform simple cellular tasks like messaging with Siri without carrying around your iPhone. The enclosure of the Apple Watch Series 3 shares the same design as prior Apple Watch models, except the rotating dial button on the side is now highlighted in red. Of course it’s also faster, has GPS along with the cellular capability, and the water resistance is said to be “swim proof” too. The cellular Apple Watch series 3 starts at $399, or you can opt without cellular for $329. Apple Watch Series 1 remains in the lineup for $249. Apple Watch Series 3 will be available September 22 and ships with watchOS 4. WatchOS 4 will launch on September 19 for other model Apple Watch users as well. 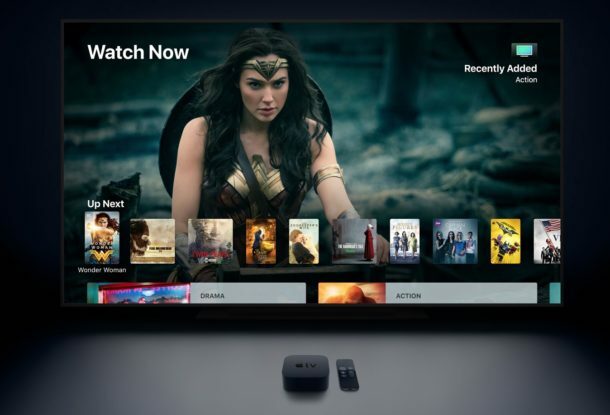 Apple has also released a new Apple TV 4K with 4K HDR video support, emphasizing improved picture quality for 4k screens. The new Apple TV 4k features a faster A10X CPU with improved graphics performance to drive the 4K HDR output. Live sports and live news are also coming to Apple TV as part of tvOS 11. The Apple TV 4k will start at $179 and be released on September 22. Separately, Apple released the iPhone 8 and iPhone 8 Plus, along with the iPhone X.